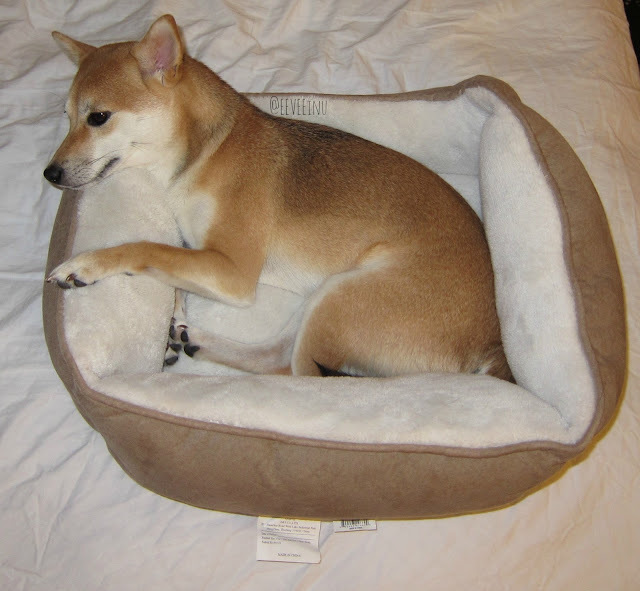 EEVEE inu - Your Daily Dose of Shiba : A place to rest your head. Today I share with you my current dog bed. When I am not sleeping in Mom's bed this is the spot. Very cute :) I have a similar type of bed for my dog and she loves having a spot to rest her head on.... probably why when she jumps into my bed she likes to curl up near the top by the pillows!